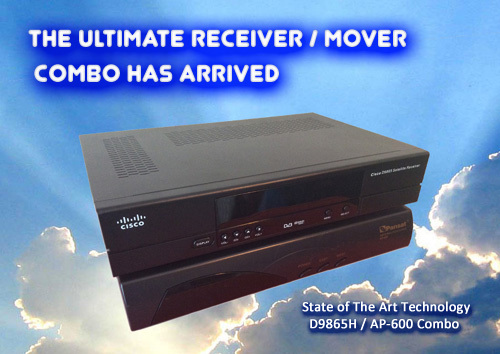 In Search of the Best Stand Alone Satellite Dish Mover. Rainier Satellite is proud to announce we are now a dealer for and selling the Best Quality solid well built, bug free mover made today, the Pansat AP 600. We have tested them all, from the low cost V box 7, V box II, and all the off names of the V box family. To the high cost Titanium ASC-1, They all fell short of the quality and robustness we were looking for. The V Box family had issues, it failed in cold climates, under continuous use, or moving 8 foot larger, or heavier dishes. We could not settle or justify selling a product to our customers with these multiple issues. We also tested the Titanium ASC-1 but were quickly disappointed by its problems. 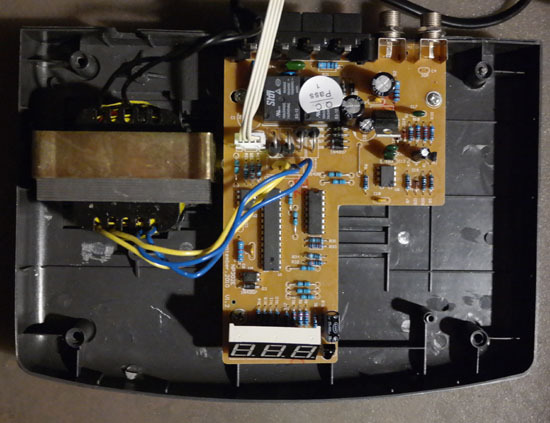 Most noted its runaway motor control, (it quickly runs your dish to the end of its travel by itself when an incorrect key is pushed, or senses something incorrectly) This is dangerous, and can ruin dishes (dish flip) and actuators (bent arms). Other bugs and problems cropped up too, too many to mention here. Once again, we were just not satisfied with it nor could endorse, or sell a product like this to our customers. 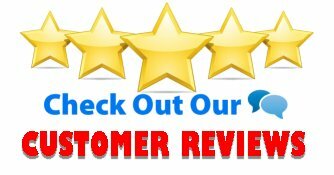 We needed something that was guaranteed to work well under all conditions and not buggy for our customers. We took the same into consideration when finding a receiver for our services. It must work and work well, this is our goal. 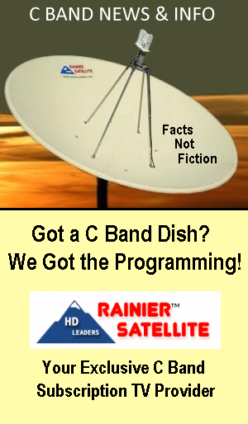 Rainier Satellite prides itself on selling only quality fully tested products. 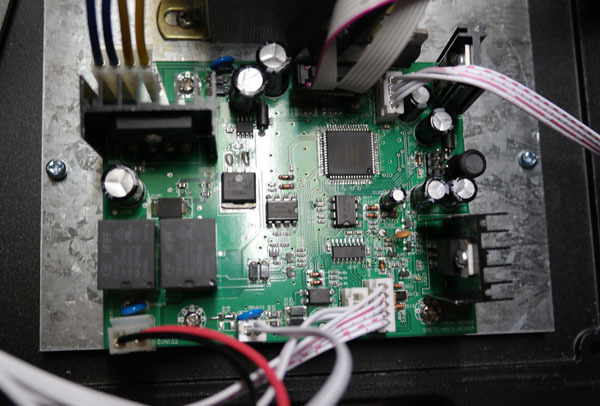 We needed a product that would work as well as the 4DTV or other quality built C band satellite receivers tracker did, bug free. Well the AP 600 actually does just that. It performs flawless, and is bug free. We are very happy with its solid robust performance. 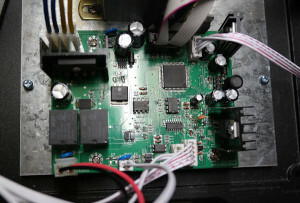 If you look under the AP 600’s hood its build on the old school electronic design just like the old satellite receivers which worked so well. 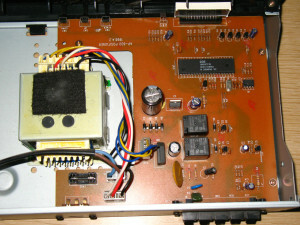 AP-600 Inside. Notice the High Amperage Transformer and spaced out parts design layout. This layout provides cooler running operation for long life. Its a breath of fresh air to see something built with the old school design quality (AP-600) and integrity that served C band so well for many years. ASC-1 robotic sub-mini cramped parts design. This design is prone to heat issues. Sub-mini robotic design using surface mount devices. This gets hot fast. Or uses cheap underrated parts like the V Box family. Inside the V-Box models you can see the cheaply made poor design with its under rated transformer. Low cost design on V Box models. 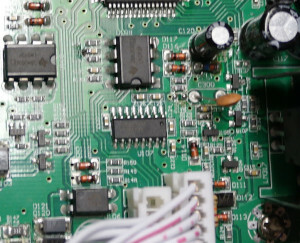 The V boxes are prone to heat failure with its underrated transformer and underrated parts. Close up of V Box circuit design shows its cramped design that runs hot. Which unit would you choose? More about The AP 600. The AP600 supplies 36 volts to your actuator for quick flawless movement. It features a four digit alpha-numeric LED positional display so you know exactly where your dish is pointing. Finding your favorite satellite locations is quick and easy. The AP600 can store up to 99 satellite positions in its non-volatile memory. Power outages can’t wipe out your settings. 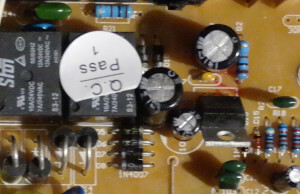 It includes a fine quality IR remote. Powerful 36 Volt DC high amperage design. Easy to read four digit alpha-numeric LED display. Works with any Receiver via Remote Control. Compatible with any Actuator using a reed or hall sensor. Actuator re-synchronization feature for easy reset. Parental Lock / Unlock feature. 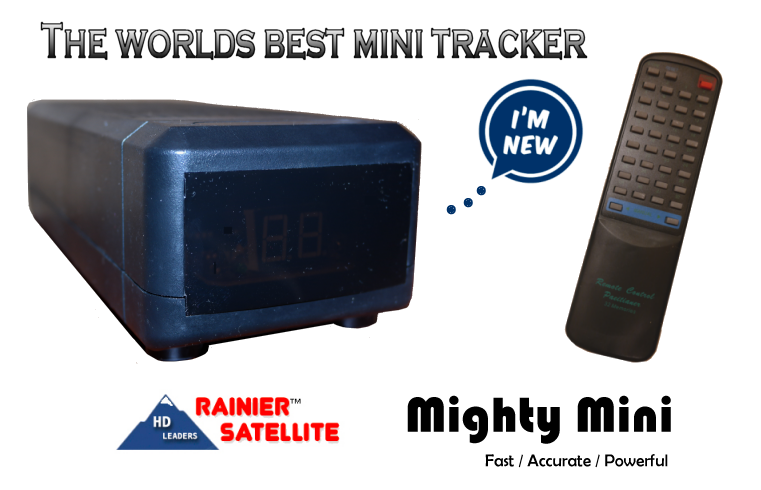 After a long hard search and countless hours of testing at Rainier for the best dish mover controller, we can say its finally been found. 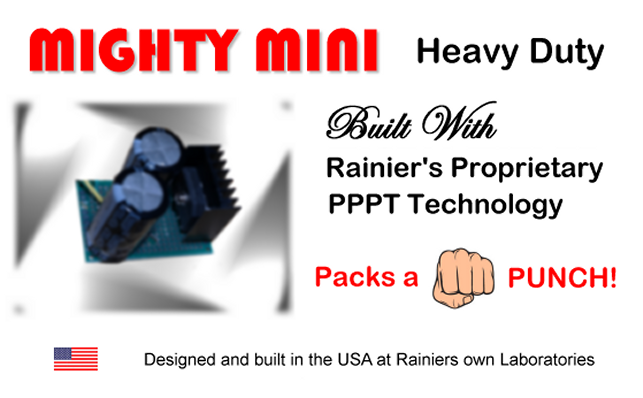 We are very happy to be able to sell this fine product in our store, for a fair price to our customers, for use with their Rainier D9865 receivers and or other equipment they may be using. The long hard search is over. NOW IN STOCK! GET THE All IN ONE SOLUTION! Posted on August 22, 2015 February 1, 2017 Author rainiergroupCategories Rainier NewsTags asc 1, brian gohl, dish mover, g box, HyperMegaSat, pansat ap 600, titanium, Titanium Satellite, v box, vbox 2Leave a comment on In Search of the Best Stand Alone Satellite Dish Mover.